'Yes, and...' - sol. ref. The Upright Citizens’ Brigade (or UCB) Theatre is an improvisational comedy troupe from the United States. Starting out in its original, rudimentary form in the early ‘90s, the group has had numerous famous alumni, including Amy Poehler of Parks & Recreation fame, Matt Walsh of Veep, as well as Aziz Ansari and Donald Glover (aka Childish Gambino). Improv comedy is a particularly challenging strand of comedy. Being spontaneous and improvised, its technique requires constant synergy between performers. Unlike scripted comedy, where the setups and punchlines have been neatly established and agreed upon beforehand, the art of improv is one of reaction; an art of being able not only to establish your own comedic threads, but to facilitate the others around you on theirs as well, all while not being entirely sure where your partner will take the scene next. 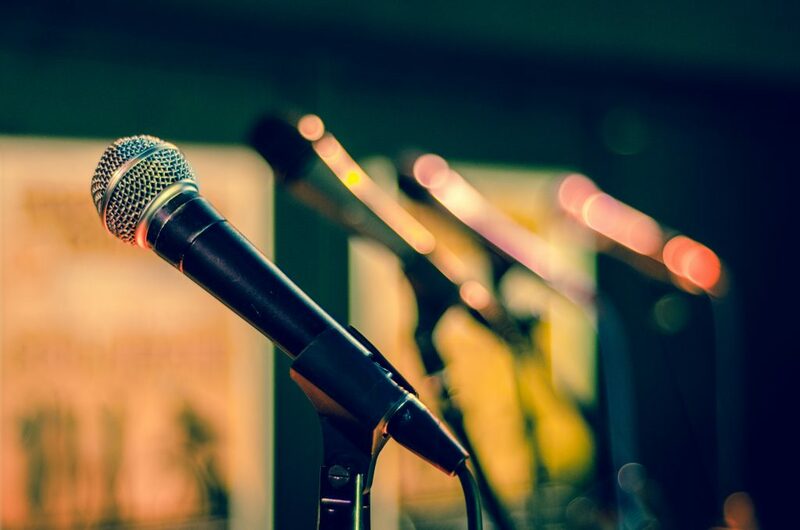 If you’ve ever experienced improv comedy first hand—or even read or heard about it from a professional comedian—you’ll know that there’s more bad improv comedy out there than good. When it’s done well, it has the potential to create the most unexpected and absurd jokes you could imagine. When it’s done badly, however, it can be excruciating. There’s nothing more painful than watching a group of people struggle onstage with no set path to get them out their predicament. One of the key mantras that UCB and many other improv comedy groups teach their members is that you should never obstruct or close off another player’s thread; no matter how outlandish or unexpected their move, you should only build upon whatever idea they throw out there. The reasoning is simple. If, for example, a player introduces a bear into the scene, you should assume they have a plan or narrative laid out so it will become relevant or humorous later on. If you reject their improvisation, you foreclose their ability to ever reach that point. The principle is comparable to “Chekhov’s Gun” (’One must never place a loaded rifle on the stage if it isn’t going to go off.’)—if your partner introduces a rifle into the scene, however absurdly placed, you should assume they have a plan for it to eventually go off. This principle is summarised neatly in two words: ‘Yes, and’. When improvising a scene, you should accept whatever your partners put forward, and then use the new parameters to improvise and build further. As each player contributes their own unique elements into a scene, it establishes and fleshes out the full scenario, allowing the comical elements to be identified, thus helping the players to reach the fun part of exploiting those comedic aspects. Perhaps that bear turns out to be someone’s visiting cousin from upstate, and someone else is a police officer hunting that bear down for stealing an artwork from the MoMA (full disclosure: I am not a comedian). Between the various battles we are fighting right now on social, cultural, political and ideological fronts, to say that we are currently experiencing fractures is an understatement. A longstanding and well-acknowledged flaw of those of us on the left is our tendency to fragment into ever-smaller factions as our specific ideological goals appear to become incompatible with one another. However chaotic, unaligned and backbiting the right wing might be—and make no mistake, it is—the fact that its leaders are largely able to unite behind simple, cohesive principles, whether overt (lower taxes, reduced immigration and free market principles) or unspoken (white supremacy, imperialism and western chauvinism), makes their politics much easier for its actors to sell, as well as for its target audience to buy. That so many of the left’s battlefronts are taking place on seemingly-contradictory planes only seems to complicate things further. On the one hand, one might be happy to see women rise to power in business and positions of leadership; on the other, they might be suspicious of capitalism as an economic model that necessarily depends upon exploitation of workers to sustain itself, and find the media’s regular fawning over women generals in the US military to be a grotesque exploitation of identity politics in the service of promoting western military hegemony. Similarly, the increase in representation of marginalised groups in the media is unquestionably a good thing, and yet the fact that so much of the power and ownership of the means of media production, from film production studios to network television channels, remains in the hands of predominantly wealthy, white, male elites, naturally raises questions as to whether such acts of inclusion by the levers of power are anything more than the latest in a long line of PR stunts. And even then, when this increased representation sheds light on deeper and more nuanced issues regarding representation and identity in media, the scale of the obstacles we have yet to overcome to achieve utopia can feel incredibly overwhelming. It’s when these uncomfortable but necessary truths are brought to light by our allies that dialogue has the potential to break down. As many of us have no doubt experienced when trying to correct friends, family members or random acquaintances for social transgressions, shaming and scolding is rarely an effective tool in winning someone around to your point of view—even less so when that person honestly believes they are trying to do the right thing. One of the greatest pitfalls among leftists is that our razor-sharp ability to identify our enemies sometimes leaves us less equipped to identify our allies. But it was in this regard that the principle of ‘Yes, and’ came to mind recently. Despite its roots in the absurdly detached world of comedy, that core idea of seeking the reward of adventure rather than the security of safety seemed pertinent. This is not to say that we should coddle people with dangerous views that are incompatible with our deepest-held beliefs—especially not those that threaten the safety, wellbeing or livelihood of others—but to say that we should seek out and leverage moments where we can build upon a potential ally’s principles and invite them onto the journey with us. The three words I’ve found myself saying most to people in recent conversations when discussing our respective beliefs are these: ‘Why stop there?’ It seems to be the case that many of us, having been systematically beaten down by the system in which we’re living, have been taught to simply accept whatever we’re given. It can create difficult conversations between like-minded people when someone who is simply grateful for what little gains have been made encounters someone who is not happy to settle until we have achieved true utopia. In such scenarios, the latter party—of which I am regularly one—can risk coming across as overly idealistic or dismissive of the importance of the victories achieved thus far, however small. As I seek to find a way to communicate the importance of continuing to strive for more, never settle, and remain suspicious of whatever crumbs of concession the powers that be offer us when the latest ideological shift occurs, I realise those three words, which can so often feel like a dismissal of what has been achieved, could be much more powerful in two.